The installation/performances will be featured in Battery Randol and Battery Quarles (see map). Categories: event, image | Permalink. This is a collection of moments from the cistern recordings at Fort Worden in June. The second day in the underground chamber, improvisations were recorded by Beth Fleenor, Eyvind Kang, Briggan Krauss, and Maria Mannisto. Other artists featured over the 4-day residency in the bunkers and empty 2-million-gallon water reservoir: Heather Bentley, Rowena Hammill, Steve O’Brian, Kate Olson, Victoria Parker, and Naomi Siegel. This picture comes from a project Yukio Suzuki and I did almost 2 years ago. I had just met him a few days earlier, we worked in Seattle for 3 days and then went to TBA/PICA in Portland and performed behind a brewery in downtown PDX. Categories: image, thoughts | Permalink. Things are moving along quickly for 55: Music and Dance in Concrete – September is just around the corner. In the coming weeks there will be more media, maps of the performance sites, and in-depth info from the artists working on the project. The work will be premiered at Fort Worden as part of Centrum’s Reverberations series, in addition to the Arizona State University Art Museum. Additional site-specific versions of the piece will occur in Seattle presented by Rainier Beach Merchant Association’s (RBMA) Art Walk Rainier Beach, in association with SEEDArts, and the Royal Room. Categories: event, image, process | Permalink. 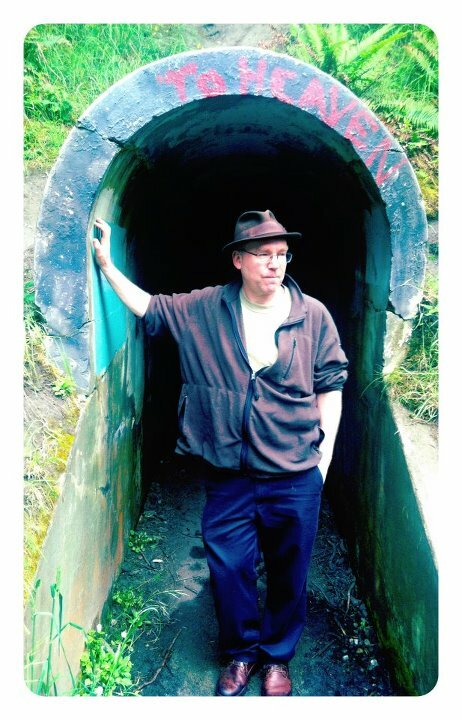 “I have been walking the bunkers and tunnels of Fort Worden since moving to Seattle from New York in 1988, but it wasn’t until I found myself performing behind a brewery in the pouring rain with Yukio Suzuki (at Portland’s TBA Festival in 2010) that I finally had a vision of exactly what I wanted to do with them.